The Bible is not like any other book because its ultimate Author is God. As the psalmist prayed in Psalm 119:18, “Open my eyes, that I may see wondrous things from Your law,” the new Reformation Study Bible emphasizes the need for the grace of God to lead out of darkness and into the light of Scripture. 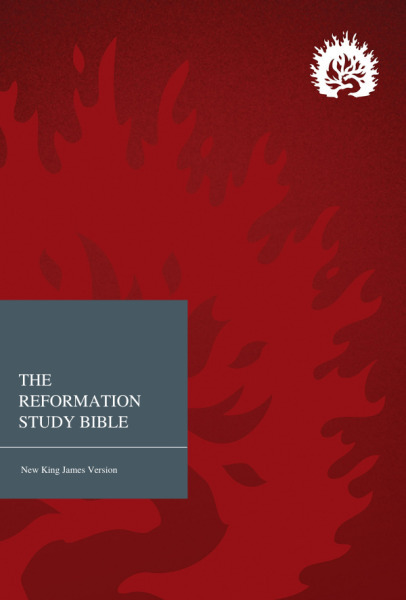 The Reformation Study Bible is carefully crafted to offer an unparalleled reading, study, and discipleship experience for every age and stage of the Christian life. The Bible is not like any other book because its ultimate Author is God. As the psalmist prayed in Psalm 119:18, “Open my eyes, that I may see wondrous things from Your law,” the new Reformation Study Bible emphasizes the need for the grace of God to lead out of darkness and into the light of Scripture. Also available in an ESV version.